Portfolio building today is challenging. The wide array of different instruments available to investors make it difficult for them to choose which exact instruments or stocks to invest in. In building my own investment portfolio, I follow a few guiding principles to take much of the guesswork out. The main idea is not to develop a bullet-proof strategy, but to devise one that works realistically. I use three simple steps. The first is to determine the investment objectives. This is the most important step as your portfolio strategy requires guiding principles. You need to be as specific as possible for each objective, and to have a certain target to achieve. For example, I have two different portfolios that cater to different objectives. The first investment portfolio, which is long term in nature and aims to achieve a strong recurring dividend stream, is intended for my retirement. The second is a trading account to take advantage of short-term opportunities in the market. The main idea is that you can build multiple portfolios that have contrasting purposes and expected holding periods, so that you can take advantage of the full breadth of investment opportunities available. Segregating your objectives in such a way will also enable you to decide how to distribute your wealth accordingly, and in a more effective, focused, and less random manner. For instance, if you are risk-averse, but still prefer to take a little risk for better returns, you can allocate 80-20 of your resources into your safe portfolio and the slightly riskier portfolio respectively. The second step is to set the mandates of your portfolios. This refers to overarching rules that help prevent you from making haphazard, inconsistent choices. For instance, the key mandate for my investment portfolio is income growth. This means that I'm constantly looking to increase the yield on my investment portfolio. The second mandate is preservation of wealth, and this means looking for equities with a sound business model with strong and constant recurring free cash flow. Of the least importance in this portfolio is capital appreciation. If you buy a quality company, capital appreciation should be the least you need to worry about. Such mandates keep you disciplined when looking at securities. For instance, if income growth is the main thing you care about, you will only shortlist counters that pay a recurring and regular dividend; anything that does not will not come under your radar. This makes the decision on which security to invest in much simpler as you narrow your search. Another important mandate I follow in both my portfolios is diversification. Investors today have no lack of sources to get information from. The line between fact and opinion is often blurred. For instance, when an analyst forecasts growth of the company to be more than 20 per cent because of guidance from the management of the company, we should view such statements sceptically. Having a disciplined investment mandate of diversification keeps you from making impulsive decisions and over-committing amid that hype. When I invest in any security, I will never allocate more than 20 per cent in any one security - it is typically only about 15 per cent to 18 per cent. As for my trading account, one mandate that I apply is that I only trade in instruments that I am familiar with, such as in foreign exchange, indices such as the S&P 500, and equities. Derivatives that depend on relationships with underlying assets such as options, warrants, and contracts for differences are too complicated for me to track. Also, capital appreciation, in contrast to my investment portfolio, would then be the key mandate of my trading account. This would depend a lot on the use of technical analysis and identifying support and resistance levels, so that you can time the entries into and exits from the markets for maximum profit gain. The last step is to constantly evaluate the results of your portfolios. If you are building an investment portfolio for your retirement, consider the returns you are making on the portfolio by having a spreadsheet that monitors the dividends received and the returns you make annually. This money management technique helps you keep track of whether you are on target to achieving your aims. You can also refine any area that needs work. Such an annual review also helps you to rebalance your allocation of resources between the two different portfolios, if there are any changes, so you can stick to the allocation justified by your risk profile. New investors starting out today face a lot of choices when it comes to building their investment portfolio. Thorough diligence and discipline is needed to find quality counters to build your portfolio with. One key takeaway I have gleaned from being invested in the markets is that when everyone says you should buy it, you should avoid it. When such investments correct, they come straight down rapidly, resulting in late investors getting severely burnt. Another important lesson is to never be caught up in the hype generated by both analyst and news agencies. 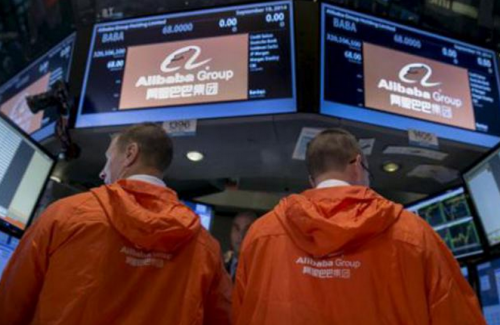 Such was the case with Alibaba, the largest IPO that was listed in the US in 2014. The listing generated a lot of buzz from analysts and news agencies alike and I found myself being caught up with getting the shares. Since hitting a high of US$120 in November, however, it is now down more than 30 per cent in less than five months. Any new investor will find the odds often stacked heavily against him or her. With the right discipline and mindset, however, we can turn randomness to our favour and build a sound portfolio catered to our needs.